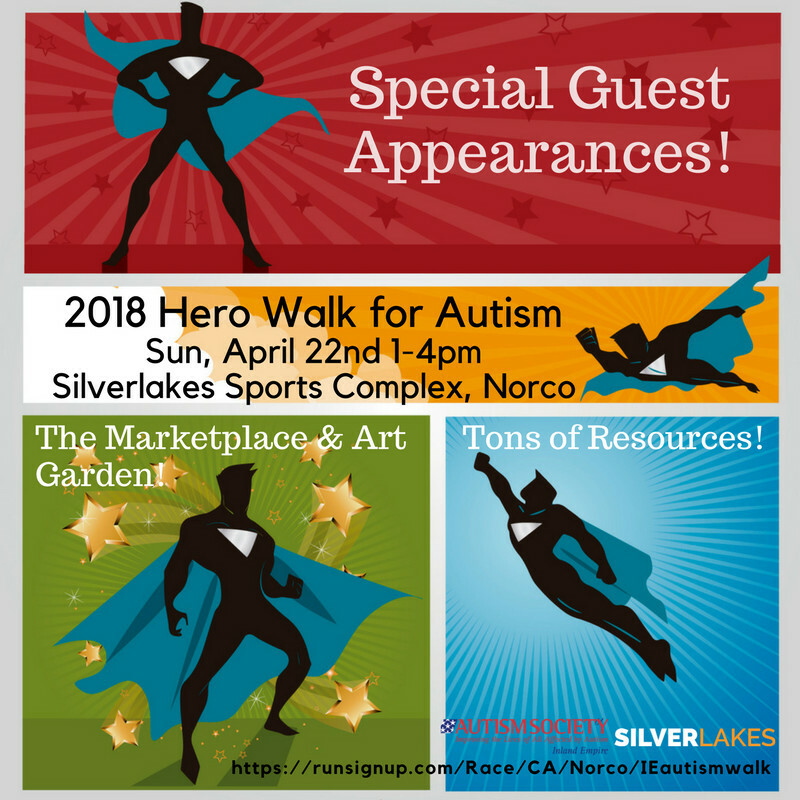 The Autism Society of the Inland Empire is hosting their annual 2018 Hero Walk for Autism on Sunday, April 22 in Norco, CA. The Hero Walk is $25 before April 2, and all funds raised go to giving children and adults with autism and their families the information, resources, and support they need to thrive in their communities. For more information or to sign up, visit the event website here.